Resistance to electric current generates heat. Specified temperature rise limits in transmission lines above ambient temperature considering about 50 % of load of the rated maximum current carrying capacity. 0-100C normal, 110 to 200 C alert. 200 to 260 C alarm, above 260 C urgent. Temperature can be measured for compression type joint, bolted or binding type joints and any current carrying component of the electrical system including conductor and equipments. If temperature is found abnormal further remedial action can be proposed . We all know that ‘A stitch in time saves nine’ hence we Ramelex Pvt Ltd, Pune request all the honorable engineers and authorities of the electrical generation, transmission and distribution system to give us opportunity to extend our hands for providing our sincere services in thermo graphic analysis of the electrical system and serve the organizations. This will reduce the breakdowns by giving warning bell and pin pointing the ‘HOT SPOTS,’ enabling us to concentrate on preventive maintenance. Since the exact defective locations are pointed out, outage period is minimized in concentrating the maintenance activity on the particular defective locations only with a small maintenance crew. Why preventive maintenance is always economical than diaster management can be seen from a simple statistics. Suppose one 400 kV line transmitting 250 MW of load goes under breakdown for about 10 hrs and there is no possibility of load deviation, what would be the energy loss, revenue loss and national wealth loss? This is just revenue loss of the electric supply company but considering industrial production loss, agricultural production loss and loss due to commercial and residential activities. The national loss of wealth would be about 10 times the revenue loss, which works out of to the tune of RS 10 Crores apart from dissatisfaction of consumers due to inconvenience, and expenditure in attending breakdowns at unexpected time. 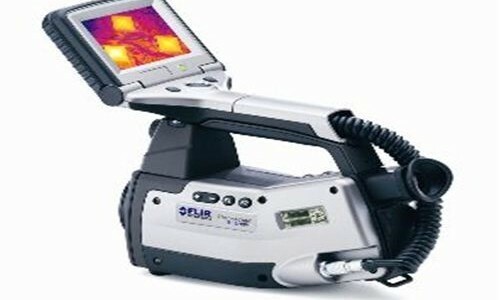 Thus a small expenditure on thermography can avoid 100 times the revenue loss and makes the system interruption free. We all know that ‘A stitch in time saves nine’ hence I propose all the honourable engineers and authorities of the electrical generation, transmission and distribution system to make thermo graphic analysis of the electrical system and reduce the breakdowns which gives warning bell, pin pointing the ‘HOT SPOTS,’ enabling them for preventive maintenance, attending immediate attention. 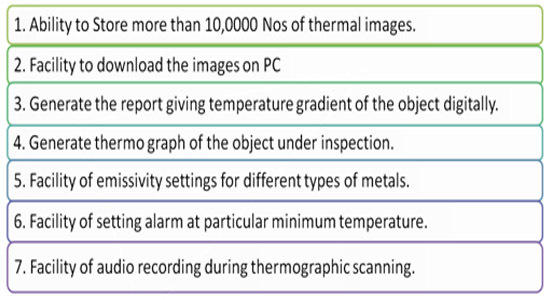 Some sample thermal images and reports generated by M/s. Ramelex Pvt. LTD Pune while executing thermography of 400 kV lines & substations are displayed herewith for idea of clarity. Jumpering cone of 132 kV Beed- Telgaon S/C Line. We in RAMELEX come up with fresh ideas every moment. We implement these ideas to innovate new landmarks in the path of our success. We have a firm belief in Devotion, Dedication, Discipline, Hard work and Teamwork without which we think success can't be achieved. RAMELEX has drawn up ambitious plans for the future aimed at diversifying its operations.To sum up RAMELEX is just a 25 years young firm. It has done pretty well in a short time and in near future we can give new dimensions and definitions to the electric world.The corporate statement of the RAMELEX Group is “We Energize Lives.” This represents our goal to bring about positive change & Strive to achieve something better. Each and every employee of the RAMELEX Group is resolved to carry on our mission to realize a better tomorrow through continuous innovation.